In June 3 this year, the Indian Solar Manufacturers Association (ISMA) appealed to the Directorate of Anti Dumping and Allied Duties (DGAD), Ministry of Commerce, to impose anti-dumping duty on solar cells and modules from three countries: China, Malaysia and Taiwan. India has embarked on an ambitious programme of installing 100 GW solar capacity by 2022 - and has so far got to around 12.5 GW - but domestic solar manufacturers have little role in it. In 2016/17, only 11 per cent equipment that solar developers used came from local manufacturers, the rest being imported, over 80 per cent of it - around 5.7 GW at a cost of around $3 billion from China alone. Indian developers prefer Chinese solar cells because they are 35 per cent cheaper than the local variety; solar panels cost 10-15 per cent less. Chinese annual manufacturing capacity of solar equipment has trebled from 23 GW to 70 GW over the past four years. In comparison, in the same period, India's panel manufacturing capacity increased from 3 GW to 8 GW, while cell-making capacity grew from 850 MW to 3 GW. Thanks to the Chinese flood, much of even this limited capacity lies unused. The ISMA wants the government to follow the example of the European Union and the US, both of which have imposed duties on Chinese solar products. "All we want is a level-playing field," says Dhruv Sharma, CEO, Jupiter Solar, a leading manufacturer. The government is yet to act on demands of solar manufacturers, but in several key sectors - steel and pharmaceutical, for example - it has gone ahead to control the flood of cheap Chinese imports that were threatening to drown domestic manufacturers of these products. The tools used range from imposition of anti-dumping duties, mandating stricter standards, changes in the government's procurement policies and stress on reciprocation when it comes investments. Solar manufacturers are not the only ones facing the Chinese onslaught. Steel manufacturers, pharmaceutical companies, chemical companies, tubular manufacturers, fishing net makers, electrical equipment makers, mobile handset manufacturers and more, are all complaining. Of the 381 dumping allegations the DGAD is investigating, 217 relate to Chinese imports. India has already levied anti-dumping duties on 112 products in the last two years in response to complaints ranging from the one made by Reliance Industries - along with SRF Ltd - against Chinese polyester yarn to another by the Indian Fishnet Manufacturers Association against Chinese fishnets. It is well known that China has excess capacity in numerous products and is constantly looking for new markets, even if that calls for slashing prices. Its grand "One Belt, One Road" initiative is part of the same design. But should Indian industry suffer in consequence? 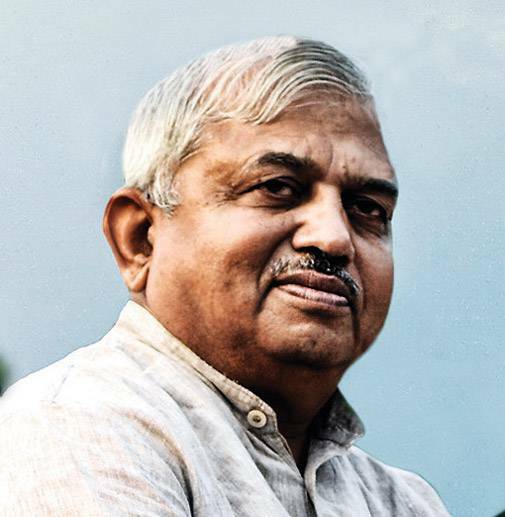 "Cheap Chinese imports are not only killing our micro, small and medium enterprises (MSMEs) but also our economy," says Kashmiri Lal, National Convener of the Swadeshi Jagran Manch (SJM), the economic forum of the Rashtriya Swayamsevak Sangh (RSS). "Overcapacity is China's headache. Indian MSMEs cannot be left alone to face its consequences." This has implications way beyond specific industries. China is India's biggest trading partner, but the trade balance is heavily in China's favour. Imports from China increased from $30.8 billion in 2009/10 to $61.3 billion in 2016/17, with trade deficit rising from $9.2 billion to $51.1 billion. This doesn't include the $8 billion trade with Hong Kong. The figures would have been even more skewed but for the surge in iron ore exports from India last year. For China, exports to India are mere 2 per cent of its entire basket. India's hardened stand could play spoilsport for Chinese global aggression. After staring down China in the Doklam region of Bhutan after months of standoff between the armies of the two countries, it managed to galvanise anti-Chinese sentiments in several quarters in Japan, Australia, the US, Europe, along with several countries in South-East Asia and Africa. On his visit to Asia last month, US president Donald Trump addressed the region as Indo-Pacific, instead of Asia-Pacific. Not surprisingly, the RSS and the SJM have been strongly urging the government to put some brakes on Chinese imports. "Chinese telecom companies are already part of our communications systems, our digital penetration programmes, power transmission initiatives, and now they want to get into our infrastructure projects," says Lal. "It does not augur well at all. We fought a war with China in 1962. It is not our friend at all." Undoubtedly, India's relations with China - both political and economic - have always been prickly. In the political sphere, in recent times, China has opposed India's entry into the Nuclear Suppliers Group, repeatedly vetoed India's efforts to get Jaish-e-Mohammed chief Hafiz Saeed designated a terrorist by the UN, and is pressing on with the China Pakistan Economic Corridor (CPEC) despite India's objection to it passing through Pakistan-occupied Gilgit & Baltistan region. India not only refused to join Chinese-envisaged OBOR, but went ahead and lobbied with the US, Australia and Japan to build a quadrilateral architecture which would not only develop mechanism for seamless trade but also an alternative to cheaper Chinese funds for countries. Along with Japan and African nations, India is working out a port-based trade route and counter the Chinese influence via OBOR. "Our relationship with China is not a normal one and we should deal with that country with caution," says Lal. The RSS is working out an international alliance of NGOs and civil society groups to raise voice against Chinese aggression. On the bilateral front also, China does not give Indian businesses the same opportunities that India has given to the Chinese players. "China does not allow any foreign company to hold any economic interest in its grid, but expects us to open up ours to Chinese companies," says Rajiv Nayan, Senior Associate at Institute for Defence Studies and Analyses (IDSA), a think-tank funded by the Ministry of Defence. Piyush Goyal, when he was power minister, and officials in the Prime Minister's Office (PMO) have told BT on separate occasions that companies from countries that do not allow Indian players in particular sectors will be barred from entering these sectors in India. Yet, Chinese companies are said to have won projects to set up the Supervisory Control and Data Acquisition (SCADA) smart grid for some of the 20 Indian smart cities being built - an allegation power ministry officials are investigating. Among the bidders for three projects to build transmission systems for a solar park in Jaisalmer, Rajasthan, apart from two inter-regional transmission corridors, are China Southern Power Grid International (a state-owned company) and energy giant China Light and Power (CLP). "It is a matter of concern if Chinese players are handling grid software," says I.S. Jha, Chairman and Managing Director, Power Grid Corporation. While China's grid is a no-no for all outsiders, in many other areas as well, it uses delayed permissions to discourage Indians from doing business in China. "In most developed countries, registering a new drug takes a year or two, but in China there are petitions from Indian drug companies that have been pending for eight to 10 years," says Jagat Shah, Secretary General, China India Trade and Investment Centre (CITIC). "They don't say yes and they don't say no. IT companies face similar barriers with their software." Former commerce minister Nirmala Sitharaman acknowledges the Chinese attitude. "China's restrictive, time-consuming practices have to be questioned." 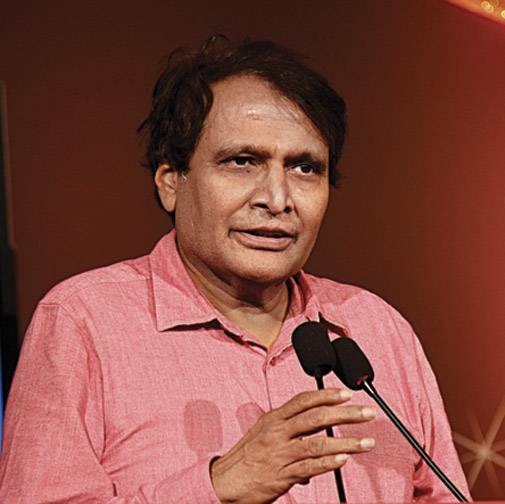 "We must seek greater access for Indian goods in China," says Suresh Prabhu, her successor. Old suspicions have returned to the fore as China makes greater inroads into India's economy. Some are even concerned with the growing Chinese investment in Indian start-ups. "We can't trust money coming from Chinese investors blindly," says Jayadeva Ranade, former additional secretary in the Cabinet Secretariat. "There is evidence that the People's Liberation Army (PLA) has complete access to the financial data of many of these companies. Most of Chinese funding comes with some long-term strategy, which is unlikely to be favourable to India." India is working on a data privacy Bill to meet many of these challenges. Initially, after he took over as prime minister in May 2014, Narendra Modi refused to be influenced by the anti-Chinese sentiments of the RSS and SJM. 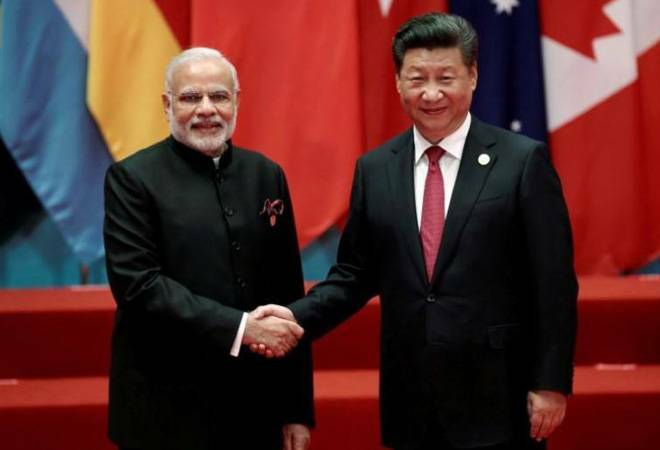 There was reasonable bonhomie when Chinese President Xi Jinping visited India in September that year, as the two leaders strolled down the Sabarmati riverfront in Ahmedabad and had dinner there, despite an unexpected Chinese intrusion into southern Ladakh around the same time. A number of pacts were signed, including the one to set up industrial parks - focused on electrical and electronic goods - in Gujarat, with China Development Bank and Gujarat's Industrial Extension Bureau as partners. There was also talk of Chinese investment in similar parks in other states. But with relations worsening, nothing has come of those parks yet, beyond a meeting of officials of both countries in November 2016 to try and iron out glitches. There are enough indications that India is now far less accommodating of China's economic role. Naturally, China cannot be singled out by name, but the steps taken are the kind likely to impact Chinese business in the country. Ministries, for instance, have been asked by the PMO to help the Bureau to Indian Standards (BIS) set Indian standards for products under their watch that are being imported. It is well known that some cheaper Chinese products are of dubious quality. Some mobile phones even came without International Mobile Station Equipment Identity (IMEI) numbers, until the import of such phones was blocked. "Till now, we had few standards for products and spurious stuff was allowed to be imported," says Ram Vilas Paswan, Minister for Consumer Affairs, whose ministry controls the BIS. Standards for steel, plastics and certain chemicals have already been set. The impact is clear. Industry estimates show that toy imports from China have dropped to less than half since India brought in tougher quality criteria and mandated certification of compliance by accredited agencies from September 1 this year. Before this, Chinese toys accounted for 70 per cent of India's `5,000-crore toy industry. Earlier in May this year, the general financial rules relating to government purchases were modified to make it mandatory for government departments, public sector units and other state-owned entities to buy from local manufacturers only. For purchases below `50 lakh, overseas products cannot to be entertained if an Indian substitute is available, while for high-priced purchases, even if foreign entities put in lower bids, the lowest bidding Indian company in the fray will get the contract if it agrees to match the lowest bid. Ostensibly aimed at encouraging the "Make in India" policy, the ruling is expected to affect Chinese imports. Even while buying capital goods, whatever their cost, government entities have been asked to source, as far as possible, from companies with manufacturing facilities in India. Much of these imports until now came from China. The new rules are already having their effect. In mid-June, public sector GAIL, which intends to buy gas pipelines worth `1,000 crore in the first phase and `3,000 crore in the second phase, decided not to buy from Chinese companies. ONGC and Oil India have also decided not to buy tubular - rolled steel sheets - from the Chinese. The new National Steel Policy, announced in the first week of May, also seeks to reduce Indian dependence on Chinese imports. In 2016/17, for example, India imported 10 MMT (million metric tonnes) steel, of which 3.3 MMT came from China. "Chinese companies, or for that matter other foreign companies, are welcome if are ready to set up manufacturing units in India, transfer the technology and create jobs," says Steel Minister Birendra Singh. But setting up fresh projects from scratch in a foreign country, when already burdened with overcapacity at home, is something Chinese steel companies would be most unlikely to do. Even so, at least one such company has taken the plunge - China Railway Rolling Stock Corporation (CRRC) has signed an agreement with the upcoming Nagpur Metro to supply 69 coaches, apart from setting a multi-modal international cargo hub as well as an airport in Nagpur. CRRC has also got supply orders for metro projects at Noida, Ahmedabad and Kolkata. In January this year, Indian Railways is opening up bids for a rolling stock project at Kachrapara in West Bengal - the Chinese major is qualified as a consortium partner with French major Alstom. Interestingly, in September 2017, two European companies Siemens (transport) and Alstom decided to merge their businesses to take on CRRC globally. "Even US security agencies are worried about the aggressive CRRC bids. They have asked the city regimes at Boston, Chicago, Los Angeles and Philadelphia (which ordered CRRC coaches) be more stringent. Among other things, they are worried about the cyber security risks emerging of these. How are we so sure of?," asks Subhash Sharma, Director, Centre for Economic Policy Research (CEPR). He added, "we have also seen in other parts of the world Chinese majors are 'under cutting' the bill to win projects, and this is not healthy for any market." Major Chinese investments across sectors are also being scrutinised closely. In mid-2016, when Chinese pharma major Shanghai Fosun sought to acquire Hyderabad-based Gland Pharma - buying 86 per cent stake for $1.4 billion - the Foreign Investment Promotion Board (FIPB), following strong objections from the SJM, opposed it. After abolishment of the FIPB, the matter stayed pending at the Cabinet Committee of Economic Affairs (CCEA). But in September this year, Fosun decided to cut down the stake purchase to 74 per cent, so that it can come via the automatic route. "China hardly ever allows registration of Indian drugs, so why should it be allowed to invest in Indian brownfield pharma?," asks Ashwini Mahajan, National Co-convener, SJM. However, even if the Chinese player manages to acquire the 74 per cent stake, it would still require permissions from several Indian agencies before marketing the restricted drugs. Gland Pharma has around 76 restricted drugs. Separately, a 10 per cent duty has been levied on imported mobile handsets, which again will hit Chinese manufacturers - who currently account for 51 per cent market share in India - the most. Along with this, the ministry of electronics and IT has asked all 21 smart phone manufactures and suppliers - most are Chinese - for information about procedures and processes followed for security of mobile phones sold in India. Among other things, this discouraged the imports of cheaper mobile phones. Yet, cutting down on Chinese imports won't be easy, as in many cases, it is these very imports that are holding down prices. Solar tariffs, for instance, have fallen spectacularly in the last two years - the lowest reached so far being `2.44 per unit for power from Rajasthan's Bhadla Solar Park - putting them on a par with tariffs of power from thermal plants. This is entirely due to cheap solar equipment from China. Any duties imposed on the equipment would reverse the trend, raising solar tariffs and throwing the country's green energy plans out of gear. "It is not possible for us to match the capacity the Chinese have, both in terms of quantity and quality," says V.K. Mishra, Executive Director, India-China Trade Centre, Delhi. "An alliance with them, rather than conflict, would bear better fruit for us." It is the same with oil and gas-related Chinese equipment. "Equipment quality is the same as that produced in India, but buying from China reduces cost of operations," says a top government official in the sector. "The consumer will suffer if China is excluded." But only in the short term, say his critics.